Set in a fantastic location with wonderful views this spacious apartment has everything you need to make your self catered holiday relaxing and memorable. 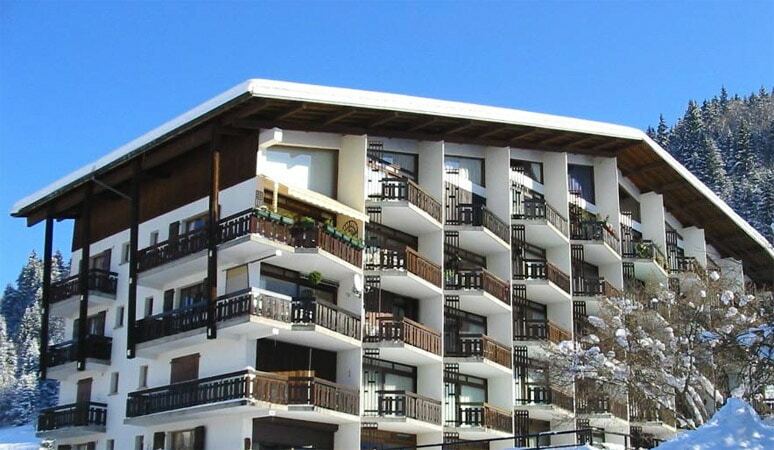 Quick easy access to The Pleney ski lift and town on foot makes this apartment a fantastic choice for a winter or summer holiday. 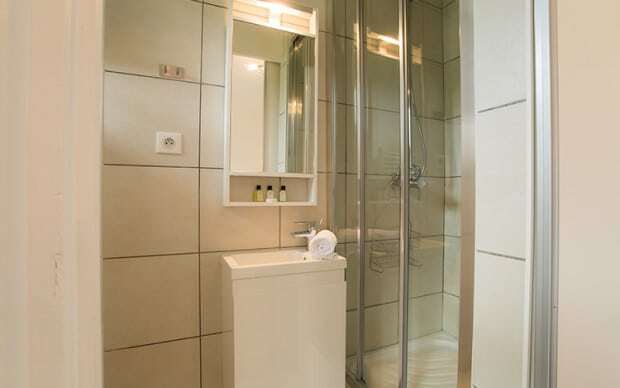 Sleeping 4 people, the apartment comprises 2 spacious bedrooms, both with balconies and 1 with ensuite shower room. 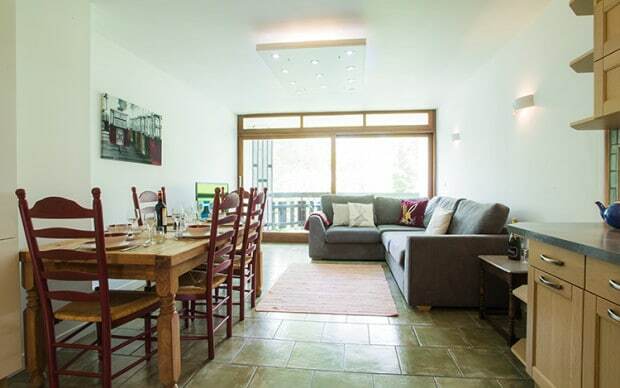 A large main bathroom, generous open plan lounge/ kitchen diner which leads onto a private balcony with mountain views. 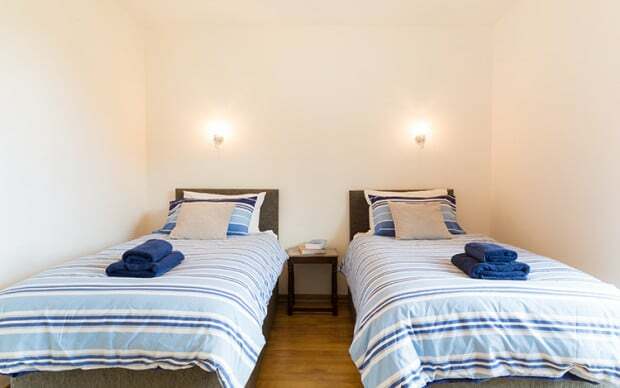 Bedroom 1 has zip and link divan beds so can be used as a twin room or a double with a super king bed. 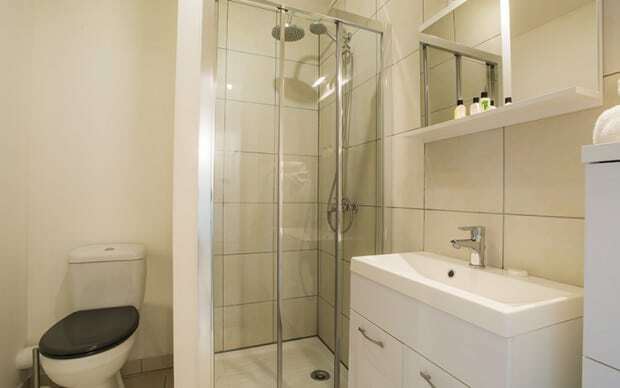 There is a compact ensuite bathroom with toilet, sink and shower. Brand new double glazed, french doors leading onto a small balcony with mountain views and plenty of storage with a built in wardrobe. Bedroom 2 is slightly larger with zip and link divan beds set as a twin room. 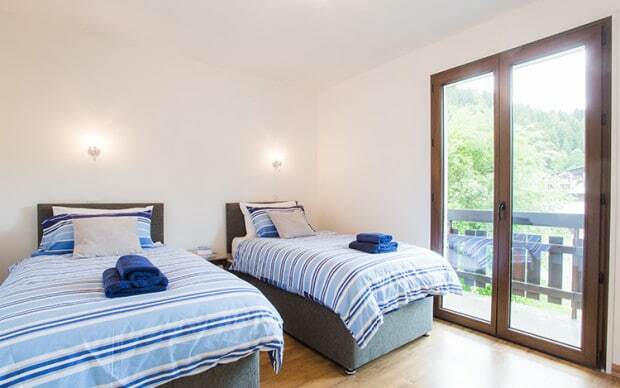 Brand new double glazed french doors also lead onto the balcony for lovely mountain views. 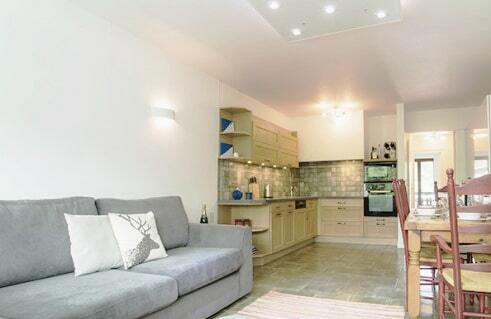 The open plan kitchen, lounge and diner is modern, bright and spacious for relaxing in. 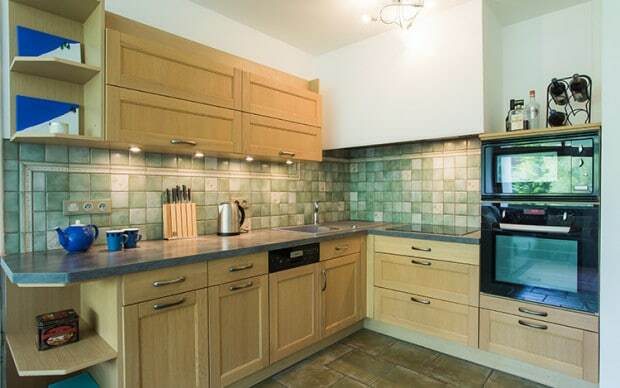 The kitchen is well equipped with oven, hob, microwave, dishwasher large fridge and freezer, plenty of work top space and storage space. A comfortable lounge area with large comfy sofa, flat screen tv and play station console. Large sliding glass doors make the whole space light and bright whilst providing some lovely mountain views. 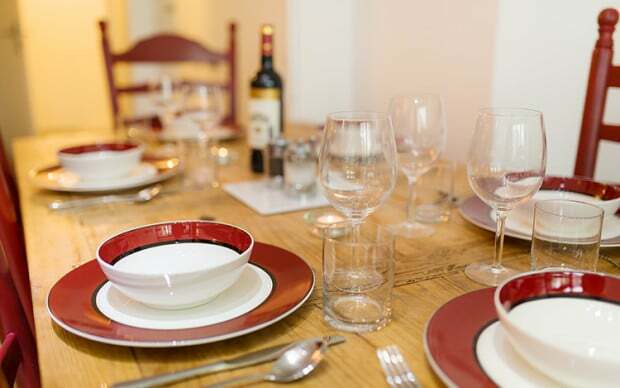 A large dining table with plenty of seating to sit and enjoy evening meals after a hard day on the slopes. A private balcony with outside table and chairs is accessed from the main living area. Private ski locker for storing equipment. Bike storage is provided in the shared bike room, which is locked and you can access. Located on the 3rd floor of the apartment building, there is a lift for easy access, so no need to carry luggage up and down the stairs. Apartment Le Pleney is located on the right hand side just as you get into the main Morzine town centre 500 meters from the Pleney ski/ bike lift, 600 meters from the Super Morzine ski lift and situated on a free ski bus route this apartment benefits from an extremely sought after location that is near to all amenities but away from the noise of the center of town. Thank you for letting us use your apartment. It is well supplied and comfortable. We had a great time here. 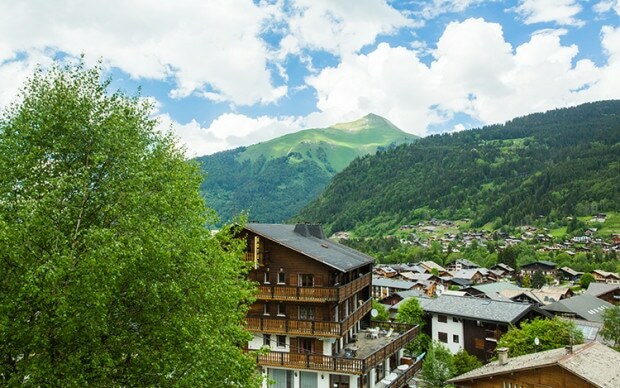 We can imagine coming back to Morzine for future holidays and staying here again.